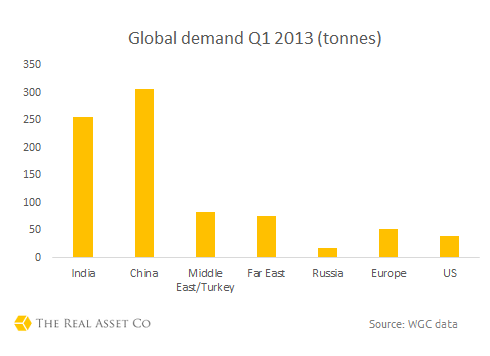 Total physical gold demand for that half of the world in Q1 this year was more than 740 tonnes. 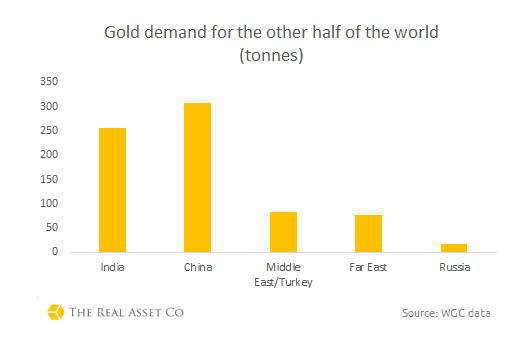 Comparing these official figures, to those in the West it seems odd that analysts believe the hunger for gold is quickly disappearing. That’s just investment demand. Central banks in the ‘ignored’ part of the world shopped up a storm as well, purchasing 109.2 tonnes in Q1, for the seventh consecutive quarter central bank purchases were over 100 tonnes. Summer rest for the gods or for gold?